The left sided full back had academy spells with West Ham United and Southend United before progressing with the Ipswich Town Academy in 2005, and signing his first contract in 2008. While at Portman Road, he represented England at Under-17 level, winning four caps, but was unable to break into the first team. In November 2008, he had a loan spell with Northampton Town, returning to Ipswich after one month. He arrived at Nene Park on 9 January 2009, on a one month loan deal, which was extended on 2 February to run until the end of the season. He made his debut in the FA Trophy game at Torquay the following weekend, and scored what was to be his only goal for Diamonds in the 9-0 victory at Weymouth the following month. On his return to Ipswich Town, he was released, and signed a permanent one year deal at Nene Park on 19 May 2009. After 46 appearances during the following season, Kurt signed another one year deal in the summer, but the arrival of left back Jamie Day resulted in him being second choice in the starting eleven for the 2010/2011 season. On 24 December 2010, he went out on a one month loan to Conference South side Chelmsford City, before signing a permanent deal with the Essex club on 25 January 2011 as they bid for promotion into the Conference. He was released at the end of the season however, and joined Conference South rivals Thurrock in August 2011. 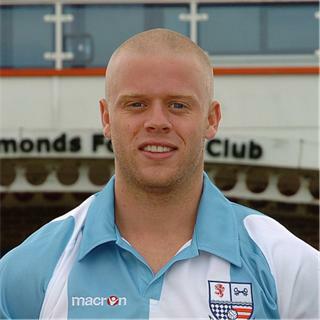 He was released during mid October, and joined Isthmian Premier side Concord Rangers on 21 October 2011. After a period out of the game he joined Bridgwater Town for the 2016/17 season, and was still with the club at the start of the 2018/19 season.